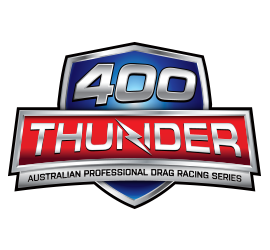 “Racing definitely wasn’t in my blood,” begins Simon Barlow with a statement that would probably shock many fans, and leave them scratching their heads as to how the South Australian rose through the ranks to claim the first ever 400 Thunder Modified Championship in 2016! Performance cars have always been on the scene, though Barlow would struggle to identify himself as a through-and-through enthusiast. “My first car was an LC GTR, I don’t even know why we bought it, but it all started from there!” he begins with a chuckle. The car was slowly transformed in to a show car before Barlow got the itch to try and race it, however he quickly came to the conclusion that the car was too nice to put through its paces at the track. Said race car set in momentum a racing career that spans years, and has led Barlow to the Modified category where he’s maintained a strong share of voice, and enjoyed his fair share of awards and accolades. Barlow is quick to point out that his success in 2016 is a reflection of the hard work of his crew, with a hefty input from his sponsors, which came together in the right balance to see the team take out honours in the 2016 Championship. It was his team who was adamant that Barlow tour the country with the car, and would take care of transporting the vehicle interstate allowing the owner/driver to fly in at the eleventh hour after working all week to make sure the bills were paid. “One of my crew in particular really went above and beyond,” explains Barlow. “He took the car to Portland and Calder, and on his way back from Victoria turned around in the same week and told me he was taking the car to Perth! At the start of the season I couldn’t have even imagined racing in Perth, but his effort got us a long way towards the Championship points we needed,” Barlow continues. Modified is one of the most dynamic categories in the Championship, and as Barlow goes on to explain, one of the most fiercely contested nowadays. “Every race is tough in Modified these days!” he exclaims; “everyone is looking for that edge, and everything is readily available. The whole class has stepped right up. We used to run 7.80s and 8.0s and be one of the fastest in the country. Now that wouldn’t even get you in the top half of Qualifying! Everyone is faster and more consistent,” says Barlow of the changing face of Drag Racing. The Championship victory proves that he and his team have risen to the challenge though, and they’ve done it by focusing on the season one race at a time. “There’s no such thing as an easy beat any more. The first round is always the hardest so we focus on getting through that, and that tends to have us finishing well,” reveals Barlow. The charging problem sidelined the team; however it was the very next round that they found out that their nearest competitor, Sydney-based Rocco Romano, had also bowed out. “He could have gone through and won it, it’s happened before, but with him out in Round 3 it meant we didn’t chew off too many fingernails!” says the newly-crowned champ’ with a chuckle. “We’re extremely proud being the inaugural winners of the Championship, especially considering we weren’t necessarily looking at doing it. For their effort I’ve got to thank all my sponsors, my crew and my family,” explains Barlow in closing. He goes on to reveal that their 2017 plans are still up in the air, with the car receiving some much-needed TLC whilst the team hunt for that little bit of extra horsepower to give them the competitive edge.